The Nepal Prime Minister Sher Bahadur Deuba today offered prayers at the famous hill temple of Lord Venkateswara at Tirumala near here.Sher Bahadur Deuba, who has been on a four-day visit to India since August 23, his first trip abroad after assuming office in June, arrived here with wife Arzu Rana Deuba, family members, and officials. Andhra Pradesh Information and Public Relations Minister Kalva Srinivasulu accompanied Deuba during his visit here.On his arrival at the temple, he was accorded a ceremonial welcome by the temple management.He was honoured with a sacred silk cloth, a photo of the presiding deity and ‘Prasadams’ by the temple Executive Officer Anil Kumar Singhal, sources said. 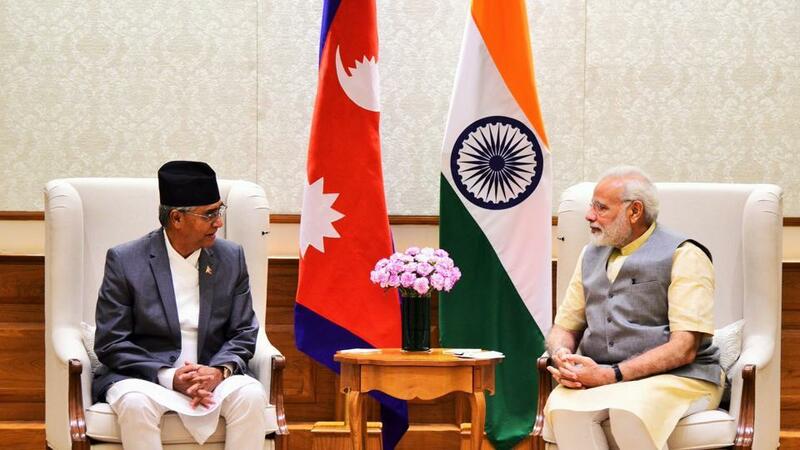 Sher Bahadur Deuba said he prayed to Lord Venkateswara to bestow blessings for the progress and prosperity of Nepal.He said the relationship between India and Nepal has been very cordial as the roots and culture of both countries are almost alike. In a brief chat with reporters outside the temple, the Nepalese prime minister said that the issue of the standoff between the troops of India and China at Doklam in the Sikkim sector has to be resolved through dialogue.After offering prayers at the temple, he left for Gaya.